Download Your Free Valentine’s Day Worksheet Packet! We are happy to release our tenth packet of free worksheets. Designed for Healthcare professionals, these worksheets can be used with patients to target various cognitive skills. Our goal is to support the community of Healthcare professionals using Cognitive Therapy by regularly adding new resources to help in their daily working lives. Please feel free to download, use and share these worksheets as you wish. 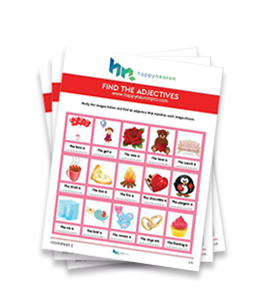 This packet includes five worksheets targeting skills themed for Valentine’s Day. It is the tenth packet in a long series we are releasing. Let us know how you like it and what you would like next! Get a Free Trial to Try All of Our Other Exercises with Your Patients!